Everyone who uses a treadmill does so because they either want to improve their endurance in preparation for a marathon or they want to lose weight quickly by getting a great cardiovascular workout that will get the heart rate up and that will effectively burn through calories. But if you have been using the treadmill at the gym or at home and you have been hitting a plateau in your fitness goals, it is time to start adding some variety to your routine. By incorporating the right techniques and challenges, you can get the fat-burning and calorie-burning results that you have always wanted from your treadmill. Continue reading if you are interested in learning more about how you can burn more fat and calories every single time you jump on the treadmill, whether you use it for a mere 15 minutes, a half hour, or even an hour. Investing in a treadmill that has preset workout programs can be one great way to add some variety to your workout routine and help you continue burning through fat and calories rather than hitting a slump. The right machine can make a huge difference in how you feel while you use it and in the results that you see from using it on a regular basis. Rather than relying upon your local gym to provide you with a treadmill that you can use, you can always invest in one of your own instead, provided that you have the budget in place for it and you have a large enough space in your home to keep it in. Today’s treadmills are surprisingly compact, and many fold up for easy storage, so even apartment dwellers can take advantage of them. 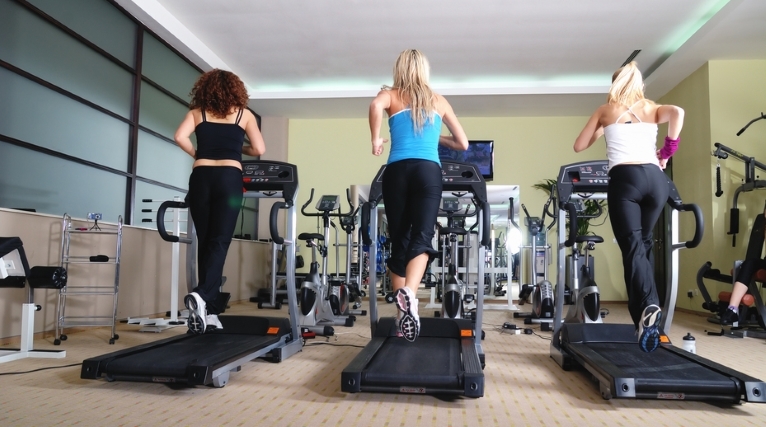 Take advantage of the preset exercise programs on today’s best treadmills. You can set new goals for yourself every time you accomplish your last fitness goal so that you always keep your body guessing and you always keep improving your endurance, your heart health, and your muscle strength. This is the key to never hitting that dreadful yet inevitable plateau that occurs when you follow the same routine every single day. So investing in a treadmill that has preset workout programs can be one great way to add some variety to your workout routine and help you continue burning through fat and calories rather than hitting a slump. You have probably heard about interval training, but if you do not utilize this great technique for not only getting in shape quickly but also for continuing to improve, you are really missing out. Interval training consists of going at a certain speed on the treadmill for a few minutes before increasing the speed and the incline to the point that you have to challenge yourself and push yourself further to accomplish the feat. You get your heart pumping stronger for a few minutes, and then you back down again to a more reasonable and more comfortable speed and incline for a few minutes. Then you pump things up yet again, forcing your body to kick it into high gear as you burn calories and fat like never before. This is the key to building up your endurance. You give yourself a few minutes to take a little bit of a rest without ever stopping before pushing it to the limit again. You will be amazed by how quickly you see results. Another great feature that is built into today’s best treadmills is iFit. This fitness app is great for workout enthusiasts who want to get into the best shape of their lives as quickly as possible, and who wish to maintain their fitness level for the long run. But for runners, in particular, this app will help you train for a marathon, even if you never intend on actually participating in the marathon itself. This is because the app is loaded with the routes of famous marathons and landmarks that you can follow during your routine. The treadmills will adjust the incline so that you can get the same workout you would get if you were actually following the route in real life. And if you do not want to follow the pre-programmed tracks that come with iFit and Google Maps, you can draw your own map and get a street view of where you are running in the world. It is definitely a great way to stay motivated, switch up your workout every day, and keep burning those calories and melting away that stubborn fat. Using a treadmill is a great way to get a challenging cardiovascular workout, and today’s innovative treadmills, equipped with the latest technological features like iFit, make it easier than ever before to stay motivated and to simulate real-life runs so that you can keep going without ever getting bored of your routine.